Dimebag Darrell and Vinnie Paul started forming up Damageplan in early 2003, soon after the demise of their previous band, thrash metal heroes Pantera. The brothers began working on tracks at Dime's Dallas home studio, unsure of exactly what they'd do with the material, but determined to banish the bad taste of Pantera's awkward breakup. Ex-Halford and -Diesel Machine guitarist (and full-time Dime pal) Pat Lachman heard the demos and expressed interest in singing for the project. While he'd never served as a frontman, Lachman's performances over the raw material were strong enough to land him the vocalist position. The lineup was completed with the addition of local bassist Bob Kakaha, who was immediately dubbed Bob Zilla for his monstrous tone, and the quartet began hashing out the new material under the working title of New Found Power. 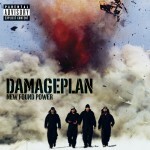 By October 2003 they'd decided on Damageplan, with New Found Power becoming the name of their Elektra debut. 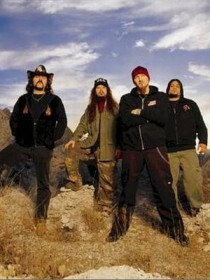 The album dropped in February 2004 to considerable buzz, mostly from Pantera's existing fan base. Longtime fans weren't disappointed as New Found Power did echo Dime and Vinnie's previous work. But it moved in new directions too, exploring more melodic post-grunge avenues and tinging its sound with slight elements of nu-metal's electronic throb. New Found Power did well through the summer, buoyed by a solid round of dates from the band. But tragedy struck on December 8, 2004 at the Alrosa Village rock club in Columbus, Ohio, when Dimebag Darrell and three other men were murdered in a bizarre and unfortunate altercation with a disgruntled fan. 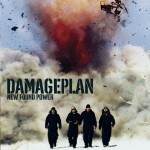 A man appeared on stage with a gun just after the beginning of Damageplan's set and, after allegedly making comments laying blame for Pantera's breakup on Dimebag, shot and killed the guitarist at point blank range. The assailant, later identified as 25-year old Marysville, Ohio resident Nathan Gale, killed three other men before he was killed by local police, including a concertgoer, club employee, and Damageplan bodyguard Jeff "Mayhem" Thompson. 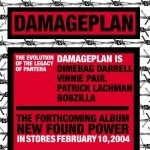 Memorials after the shootings remembered the victims and wondered at Gale's motives, while the future of Damageplan was unclear as its surviving members grieved.